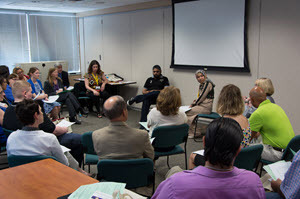 The University of Pittsburgh School of Nursing teamed up with the Institute for Research, Education and Training in Addictions (IRETA), National SBIRT Addiction Technology Transfer Center (National SBIRT ATTC) and AIDS Education and Training Center to host a two-day Screening, Brief Intervention, Referral to Treatment (SBIRT) inter-professional Conference which was held in Oakland June 9th and 10th. 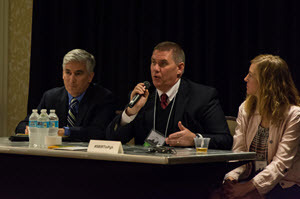 Day one of the conference, held at the Hilton Garden Inn, started off with Keynote speaker Eduardo Salas, PhD followed by a series of workshops where participants could learn more about SBIRT foundations, how to integrate it into special populations, as well as considering SBIRT and various substances. Day one concluded with a digital poster session with presentations by Carolyn Edney, MSW, Stephanie Gamble, PhD, Jametta S. Magwood, PhD, and Patrick N. Moore, MA, LPC. 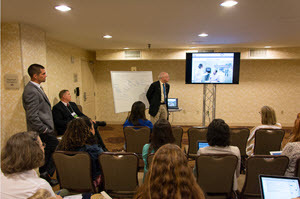 The second day of the conference was split between lectures at the hotel and SBIRT sessions at WISER. Topics discussed included �How to Implement a Simulation� presented by John O�Donnell, RN, CRNA, MSN, DrPH, Michael Neft, DNP, MHA, CRNA, and Daniel Battista, MBA, and �How to Design and Educational Session with Standardized Patients�, presented by Valerie Fulmer, BA, Adam Kukic, MA, and Marie Fioravanti, DNP, RN. 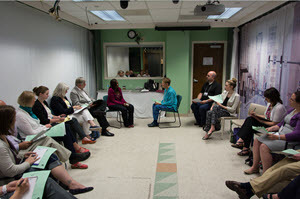 Participants were able to partake in an SBIRT session at WISER where Standardized Patients demonstrated scenarios allowing participants to analyze and apply the concepts of SBIRT.